Experiencing new and annoying aches and pains is an unfortunate aspect of getting older. Few are exempt from the physical discomforts that come with aging, but most are usually able to adapt without too much difficulty. However, one of the more common and debilitating types of pain that millions of Americans experience is back pain, which compels many to seek Social Security Disability Insurance (SSDI) benefits to replace lost income. Most people will experience some level of back pain, but for some, the pain never goes away and affects every corner of their life. In fact, back pain is the leading cause of missed work, and a condition 80 percent of adults experience at some point in their lives. There are many reasons behind low back pain, and not all sufferers respond to the medical treatment offered. Because so many have this issue, with most recovering without surgical intervention, it can be hard for others to understand how severe chronic back pain can be. 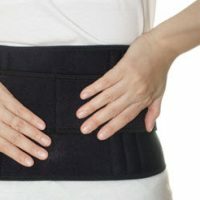 Further, some back pain is related to ailments that are not easily associated with this condition, which can complicate getting approval for SSDI benefits. While the Social Security Administration (SSA) may be more reluctant to approve disability due to back pain, it will, if the proper medical evidence is presented. An overview of how back pain disability claims are evaluated, and what the claimant needs to be successful, will follow below. nerve conditions – spinal stenosis, herniated disc, scoliosis and nerve root compression. In order to qualify for SSDI benefits, a person must have a condition that is “medically determinable.” In other words, a doctor must be able to verify the presence of a physical problem that would cause back pain through examinations and diagnostic testing. Without this confirmation, no matter how severe the pain is, the SSA will not award SSDI benefits. In addition, the pain must last at one year and prevent a person from working. Thus, back pain due to strains or fractures that usually heal in weeks or months would also not qualify for SSDI benefits. Most crucially, though, the SSA will look at a claimant’s objective symptoms, functional limitations and credibility (because the experience of back pain is subjective and differs by person). Medical evidence is the key to every SSDI claim, and, given the skepticism the SSA has toward disability claims based on back pain generally, is even more important in these cases. Consequently, the more corroborative medical documentation a claimant is able to submit, the better the chances of approval. However, not all medical documentation is necessarily helpful or valuable to the SSA examiner. A report without notes or observations by the physician is not viewed as helpful, and will not do much to bolster a person’s disability claims. But, thoroughly documented examinations or testing reports, especially from specialists that deal with conditions related to back pain, can be some of the strongest evidence a claimant can offer. Examples of specialists that commonly evaluate back pain issues include: rheumatologists, orthopedists, pain management doctors and physiatrists. Additionally, due to the fact that chronic back pain is typically treated with strong opioids that can interfere with a person’s cognitive functions, the SSA will look at the totality of a claimant’s condition, including the effect of prescribed medication on his/her functioning. Therefore, a complete and accurate list of medications taken by a claimant should be included in the SSDI application, as well as any side effects. The success or failure of a claim for SSDI benefits has a huge impact on the claimant’s life, and the application and approval process should be approached with the best possible plan for success. A disability insurance attorney can bring knowledge and experience to the disability claim process that makes all the difference in the outcome. Farrell Disability Law has years of experience helping disabled clients get the money and benefits they need. Based in Jacksonville, but serving clients throughout Florida and South Georgia, contact the office today for a free consultation.